Identifying and writing letters is a critical skill necessary to read! Help your kindergartener practise reading and writing letters with these colorful fun worksheets. 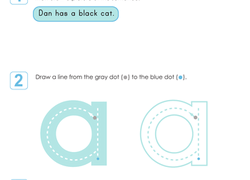 Discover other Year one worksheetsAnd give your child extra opportunities to learn! Give your child coloring pages, reading worksheets, and missing letter worksheets to get him writing and reading! Reading will be easier as he becomes familiar with letters. 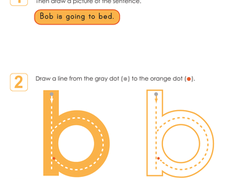 Try putting multiple letter coloring pages together to create words to practise reading!